Once you’ve been to ABA TECHSHOW you know that there is no other conference quite like it. It is a 2.5 day blitz of CLE presentations, dinners, and technology products all documented in real time through every conceivable social media channel. The goal for most of us is just to keep up, and absorb as much as we can, chatting until we are hoarse and tired enough to sleep for a week. So without further ado, let’s recap! The evening closed with a word from Matt Homann declaring that this would be the last year of Lexthink.1. We’ll all be waiting to see how Mr. Homman re-creates this fun event. Advanced manipulation of the digital word is here. Document assembly, OCR, dictation and editing tools made their presence known on the ABA TECHSHOW Expo floor this year. New and existing tools you may not have heard of are changing the way attorneys prepare and perfect their work. Document assembly allows you to automate a form or template by taking pieces of variable information and turning them into form fields. Filling in these fields then generates a new and unique document, without tedious copying and pasting. Examples of this could be an establishing an LLC, or creating a living will, contract, or an agreement. 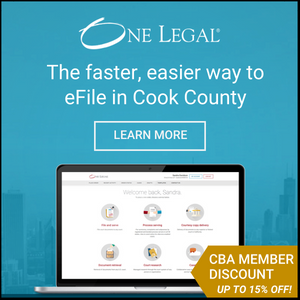 What makes this year so exciting is that we are not only seeing integrations with case management solutions like Clio, Rocket Matter, My Case & Smokeball, but we are also seeing stand alone solutions that any attorney can use to save time, increase efficiency and reduce error. A newcomer to the document assembly party is a tool called Doxserá (from the makers of The Form Tool) which uses previously written clauses to complete forms and agreements for the attorney by answering a series of questions. On the editing front, Wordrake, can edit and proofread your documents with intelligence from leading legal writing coach Gary Kinder. Beyond correcting spelling and punctuation, this tool suggests word choice and reduction of superflous language. Dictation tools continue to engrain themselves into software and automation platforms, the most notable this year being Big Hand’s acquisition of Esquire Innovations. The dictation giant aims to combine the power of dictation with automated legal documents and forms offered by Esquire. Finally pen to digital paper is now more refined than ever. The Sony Digital Paper device was a big hit at the Worldox booth, with tablet form and elegant function translating your handwriting into ready to review documents. Cloud vendors have often debuted at ABA TECHSHOW. In 2008 we saw the entrance of Rocket Matter and Clio. Next came My Case. Now enter round 3 of cloud apps and services. Newcomers to the SaaS practice management space include Lexis Nexis – Firm Manager and Thomson Reuters – Firm Central. Others include CaseTrek, JuraLaw ,CosmoLex and Time59. Hybrid cloud services, which marry the offline capability of desktop tools with the backup and data sync features of SaaS products such as Smokeball, Viivo, Tabs 3 (Tabs 3 Connect) and Amicus (Amicus Cloud) also had a big presence. Off the Floor… App of the Week. If you didn’t attend a Taste of TECHSHOW dinner you missed out! Reid Trautz wowed us all by letting his iPhone do the talking… and walking. At dinner Reid set his iPhone down in the middle of our circular dinner table and let the dance begin. We watched as iPhone app Cycloramic kicked into gear! The iPhone started buzzing away, sequentially turning to face every person, cycling a full 360 degrees to compile a single group photo of everyone at our table. In one word: supercalifragilisticexpialidocious. Hipsters, photo-bombers and selfie lovers unite! 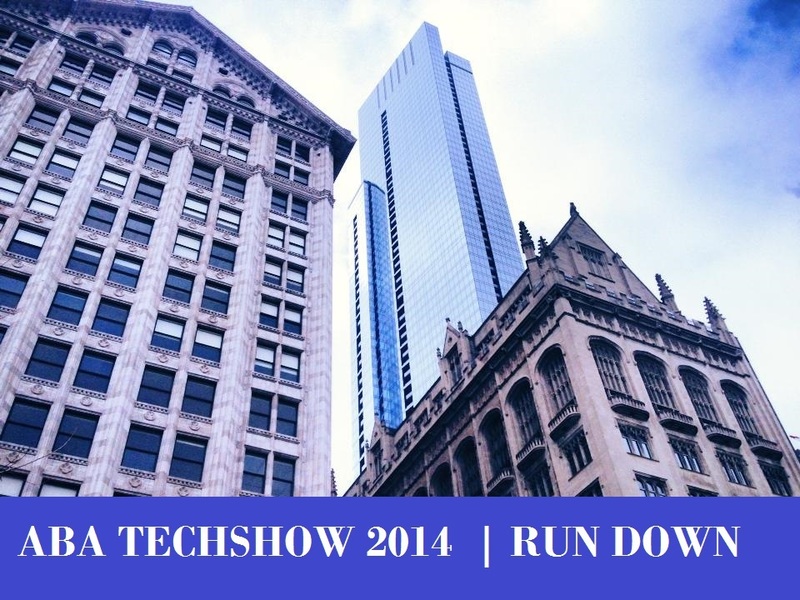 Lessons from ABA TECHSHOW sessions and the Keynote Speech by Rick Klau. The customer is not always right. If you went to get your car repaired, would you tell the mechanic how to change the parts, which ones to order, and how long it should take? No, because if you could, you would do it yourself. The same is true for your clients. While it is important to hear them out and listen to what they think they should pay don’t let that deter you from pricing by what you know to be fair and reasonable. Your services and time are valuable. Everyone knows that. What the average client often doesn’t factor in is the residual effect that hiring a knowledgeable attorney has. Will working with you help them avoid tearing their family apart during the custody process? Can you help them avoid penalties or taxes by using certain estate planning strategies? Are you able to advocate for an employee’s labor issue without it ruining their daily life at work? It’s about preservation and peace of mind. It’s about selling value. The commoditization of the legal industry isn’t happening, it’s already here. And in the words of Mark Britton, Founder of Avvo you need to ask yourself: “What is your cheeseburger?”. Think of an entry level product that your clients know they need and want at a fixed price. Then when selling it to them explain why a Happy Meal might be a better option. The Happy Meal is your full service offering, or combination of services that delivers a higher level of certainty or peace of mind. A client may know she needs filings for an LLC, but had no idea that a strong business foundation also includes an operating agreement, maybe an employee contract, and various other documents. The same can be said for estate planning. A simple power of attorney is the doorway into a larger conversation about living wills and asset protection. “Just Say No” Nancy Reagan may have coined the famous phrase in relation to drug use but it rings true in business today. As business owners you may feel pressure to take on work outside of what you are comfortable with in order to pay the bills. However, taking on a difficult client or questionalbe case means that you neglec twork that leads to growth and success. Spending an hour on the phone with a troublesome client you knew you shouldn’t have taken on now means you can’t get to your marketing to do list. Neglecting marketing and networking may mean you might have a lull in new business while churning your wheels with a client you don’t even like. Still skeptical? Read this. Irrelevance applies to those who are not willing to change. So lastly… Think Big. In many ways what used to work in the business of law isn’t working any more, so lawyers need to imagine what tomorrow will look like and how to get there. Use data to drive decisions, fuel new business models and leverage the combined power of your peers to show the world how things have changed. Hope to see you next year. Until then I look forward to pushing forward into the future inch by inch, and hope you are too.